Identifying the source of contamination is only the first step towards clearing a site. As a registered waste carrier, J Mould (Reading) is licensed to remove and to transport hazardous waste to an appropriate disposal facility. The company has invested in a substantial fleet of roll-on/roll-off bin lorries, articulated bulkers and 32-tonne tippers, all of which can be brought into play as the requirements of each project dictate. Removing and transporting asbestos is a common requirement. JMR operates as an asbestos-removal contractor either as part of a larger project or on a stand-alone basis. Once the planned removal work is complete, the company’s in-house teams make the material safe for transport prior to transporting it to a licensed asbestos-disposal facility. At every stage, the work is fully compliant with relevant legislation, industry guidelines and accepted best practice. The nature of any soil contaminants dictates the treatment of the material. In most cases, removal under controlled conditions is completed by JMR’s site personnel, following which the contaminated soil is transported either to JMR’s own recycling facility or to an appropriately licensed disposal site. Wherever possible, the company identifies an appropriate re-use for reclaimed material following decontamination, reducing the need for landfill disposal. Notified hazardous materials and toxic wastes containing dangerous substances are removed and transported in the manner prescribed by relevant regulations. As required by law, the company maintains fully traceable records of all waste movements from sites under its control in addition to all contracted removal and transport on behalf of third parties. JMR ensures complete compliance with all relevant legislation and regulation regarding removal and transport of hazardous waste, in every case with due regard to minimising the environmental impact of the work. Where contamination requires expert investigation, the company works with recognised experts to identify appropriate decontamination measures prior to removal. In every instance, the client remains well informed, professionally advised and fully compliant. Previous projects have seen JMR tackle many different client structures, including multi-storey accommodation blocks, town-centre office buildings and large commercial buildings. Each brings unique challenges, and the company’s record of success across a broad spectrum of demolition projects is second to none. 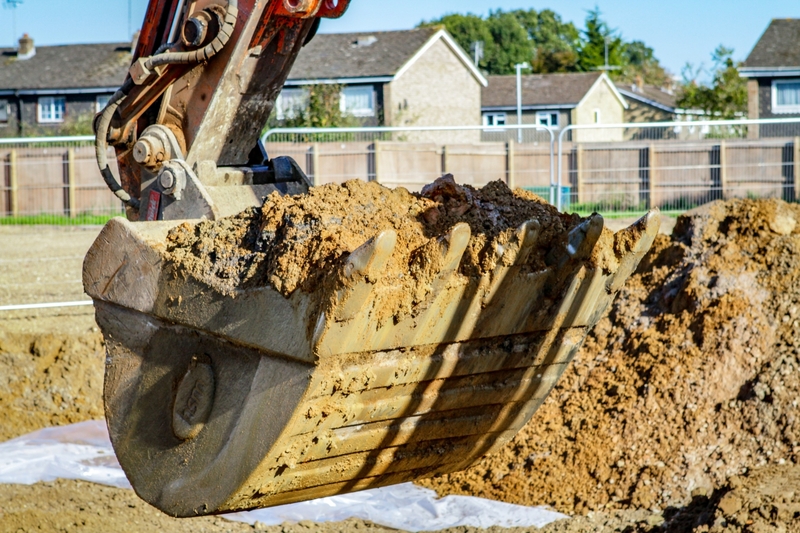 JMR recognises that demolition works pave the way for subsequent construction contracts, and understands the need to integrate one seamlessly into the other. The company has a hard-earned reputation for excelling in sensitive environments where traffic volume, noise, vibration and dust are all potential issues. Ensuring compliance with project-specific conditions and maintaining good working relationships with all other stakeholders is all part of the service for JMR clients. 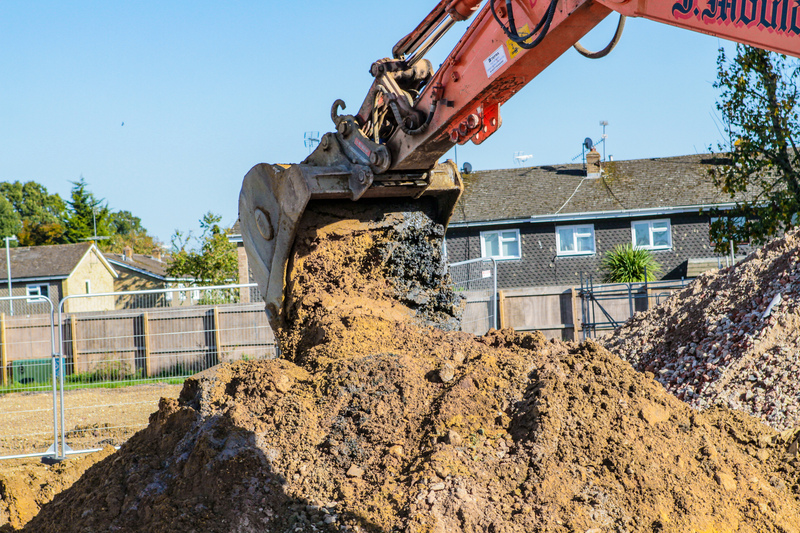 With the redevelopment of brownfield sites increasingly on the construction agenda, site remediation is a priority for developers. Whatever the condition of the proposed site, J Mould (Reading) has the resources to plan and conduct an effective site survey, to identify any contaminants present and to prepare a site-specific remediation plan. Asbestos, heavy metals and hydrocarbons are the typical contaminants found on brownfield sites, and JMR has the expertise and disposal routes to deal with them. Site investigations and surveys can be commissioned by JMR, or we can work from existing site investigation data, dividing up the site into different areas with different types and or levels of contamination. Each type or category of contamination will be source segregated and either treated and reused on site where appropriate, or removed to a suitable licenced treatment or disposal facility. In the event of asbestos contamination, JMR’s status as a licensed asbestos contractor ensures that completion of the necessary Asbestos Survey is swift and thorough. Preparing an asbestos-removal plan and obtaining any approvals required by local regulators are tasks for JMR’s in-house asbestos team. Contaminated soil is, whenever possible, treated at the point of excavation and reused during the construction phase of a project, care and consideration is given to ensuring the ‘Source-Pathway-Receptor’ links are broken so that there are no risks to the end users of the site. Where in-situ treatment is impossible, JMR is licensed to remove and transport hazardous waste, and the company’s bulk-haulage division manages the controlled removal of all types of contaminated soil to off-site treatment and disposal facilities. Remediation of former industrial premises requires particular care. By-products from many industrial processes, including gas production, power generation, mining and metal processing, remain in the environment for extended periods, often contaminating groundwater and constituting a threat to surrounding areas. Typically the company is able to recommend a decontamination and site-remediation strategy that not only satisfies commercial requirements but also ensures regulatory compliance. During the execution phase, JMR implements the agreed site-remediation plan with absolute regard to the safety of its employees, other contractors and the general public. This may require careful timetabling of activities, taking into account the nature and timing of occupied adjacent sites. The end result is a development-ready site, certified accordingly, at optimal cost to the client. In order to comply with the Hazardous Waste Regulations, at J.Mould we provide storage, transport, collection and final disposal of your hazardous wastes that are commonly referred to as COSHH waste. Operating seven days a week with ADR trained drivers throughout London, you can rest assured that your hazardous waste is disposed of legally. Managing these wastes compliantly is extremely important for the environmental responsibility of any business. That’s why we provide a variety of wheelie bins with lockable lids for waste management, segregating your hazardous materials for easy disposal. Contact us today for more detail and documentation on our hazardous waste removal, collection, disposal and management – regardless of whether you have liquid or solid waste – and we’ll be happy to provide consultancy or advice for your individual requirements.